John McCain and I were in Navy flight training at approximately the same time, but I didn’t know him then. Not until 2008, when I was writing the book Intrepid, did we become acquainted through correspondence. I knew that Intrepid was the first carrier McCain deployed on, and his father and grandfather, both four-star admirals, had been aboard her. I asked McCain if he’d be willing to write a foreword for the book. He immediately agreed. And then weeks passed. No foreword. With a deadline from Random House looming, I nudged him. Was he close to having the foreword done? McCain apologized, saying that he’d been a bit busy. In case I hadn’t noticed, he was running for president. A couple more weeks passed. Then I suggested that I give him a rough draft that he could amend as he saw fit. As an added inducement, I said, hell, I’ll even vote for you. We had a deal. A week or so later the foreword came back with a few editings and some beautiful paragraphs he’d added about his father and grandfather. McCain kept his word, and so did I. Over the years I disagreed with probably half of John McCain’s positions. He was stubborn, contentious, funny, principled, idealistic, right on several critical issues, wrong on a few others. Above all else he was a supremely honorable American hero and patriot. I’m glad I voted for him. I wish I could again. My list of living heroes from the Greatest Generation continues to grow shorter. Wesley Hays was a classic member of his generation: modest, generous, fiercely patriotic, courageous beyond measure. Wes died last week shortly before his 97th birthday. On the morning of 7 April, 1945, Lt. (jg) Hays was leading a flight of F4U-3 Corsairs as part of a massive air attack on a Japanese task force. The flagship of the enemy force was the super-battleship Yamato, the largest warship ever constructed at the time. The weather was lousy, with a low ceiling and rain. The bomb-laden flights of warplanes became separated from each other and had to make dangerous, solo attacks on the enemy force. When Wes’s flight broke out of the low clouds, they found themselves aimed almost directly at a massive warship, the cruiser Yahagi. Hays led his Corsairs down through heavy flak to plant their 1000# bombs on the deck of the enemy ship, then they opened up with their .50 caliber machine guns. Minutes later the Yahagi was sinking to the bottom of the East China Sea. For his actions that day, Wes Hays would be awarded the Navy Cross, a medal second only to the Medal of Honor. I met Wes and his squadronmates a few years ago at a VBF-10 reunion in San Antonio. With Wes’s encouragement, the old fighter pilots opened up with me, sharing stories, letters, photos, manuals. It was a treasure trove that would eventually become an award-winning book, The Twilight Warriors. Wes became a dear friend. I came to love his dry, Texas humor and his razor-sharp recall of the tumultous events seven decades ago. He was one of my special heroes, and I salute him. Another of the heroes from my book Angels in the Sky has flown west. Gideon Lichtman was a classic fighter pilot—swaggering, tough-talking, sentimental, non-politically correct, courageous beyond measure. Like thousands of his Greatest Generation peers, Giddy stood in line to enlist the day after Pearl Harbor. He made his way into Army Air Force flight training and distinguished himself as a P-51 Mustang pilot in the Pacific theatre. Three years later, when Giddy was a student at NYU on the GI Bill, the new state of Israel was besieged by five invading Arab armies. Again Giddy went to war, joining a ragtag band of volunteer airmen to fly a mishmash of dilapidated warplanes. Giddy was the first to shoot down an enemy Spitfire fighter with a Czech-built Messerschmitt. 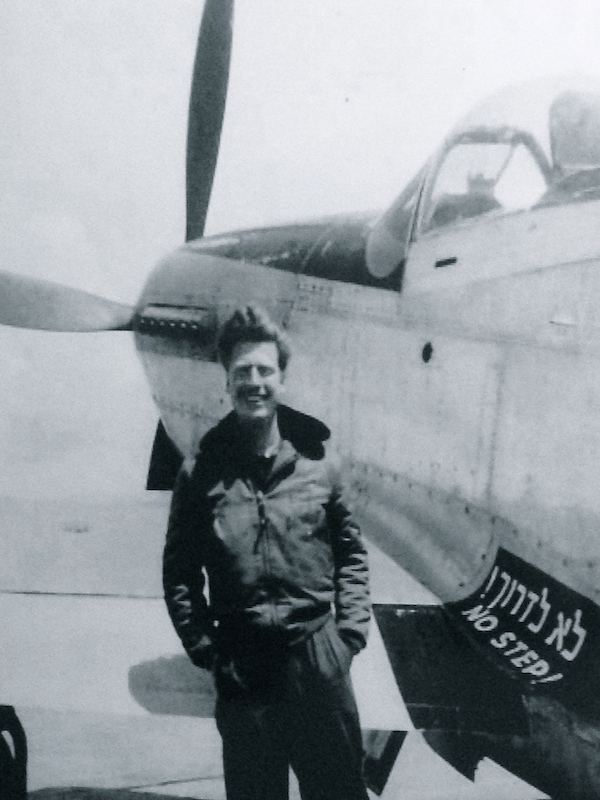 Against overwhelming odds Giddy and his fellow warriors achieved a miracle—and saved Israel. And then came Korea and Giddy, the quintessential warrior, went back to war. In later years Giddy became a test pilot, a devoted father, staunch friend to his Machal brothers, famous teller of bawdy jokes, and for thirty years was a beloved high school teacher in Miami. 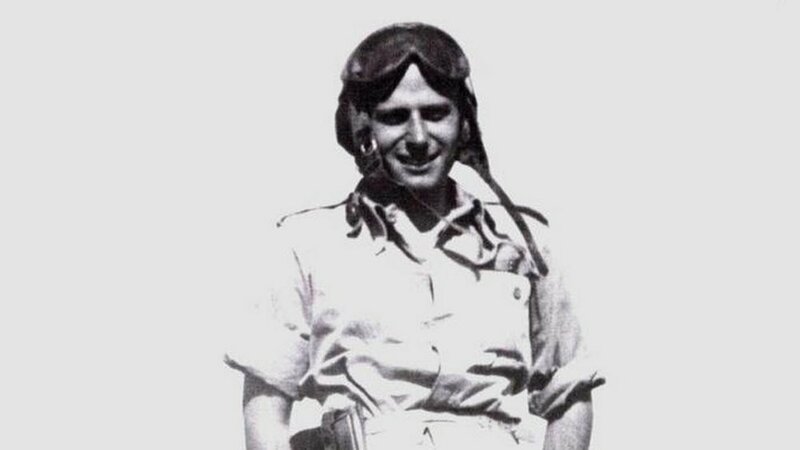 When my old hero Mitchell Flint passed away last fall, Giddy became the last survivor of the IAF’s original 101 Fighter Squadron. He died last Wednesday at age 94. So long, Giddy. We salute you. Were they, in fact, the greatest? Not if you listen to them. One of the hallmark qualities of their generation has always been humility. Most will tell you that they were quite ordinary, no greater than any other generation of Americans. Greatness, they would have you believe, was not something they sought. Perhaps. But consider the facts. This was the generation who, after growing up in the greatest of depressions, was summoned to fight in the greatest of all wars. Over sixteen million of them lined up to answer their country’s call. In battles on land, sea, and in the air, over 400,000 gave their lives. They defeated the Axis powers, freed Europe, crushed the Third Reich, conquered the Empire of Japan. These were the men and women who, literally, saved the world for democracy. The Greatest Generation? Without question. This week, the seventieth anniversary of the mightiest seaborne invasion in history, is an appropriate time to reflect on the Greatest Generation and our connection to them. As you reflect, consider this: today’s young Americans—teens and pre-teens—have the same generational relationship with the Greatest Generation as these old veterans had with . . . imagine this . . . Civil War veterans. When the men and women of the Greatest Generation were in their early teens, thousands of Civil War veterans were still alive, telling stories, sharing history. This is a powerful concept. It means that when you shake the hand of one of these heroes of the Greatest Generation, you become part of this generational continuum that goes back to the Civil War and beyond. It means you are connecting with history. Time is short. Take the opportunity this week to seek out one of these veterans. Clasp his hand, listen to his stories, thank him for his service. Make your connection with history. For the rest of your life you'll be glad you did. THE PRESIDENT’S PILOT took to the sky this week. Begun in 2008 when there was much excitement about a woman candidate for President, with Harper Collins (publisher) particularly interested, the proposed novel lost momentum when you-know-who won the nomination and the White House. Early last year, as the political landscape again changed, I decided to finish the novel, giving it a slightly different theme and point of view. The result is a melange of current and future military and political scenarios. The story and its characters won’t please everyone (no good novel does), but it's guaranteed to tweak and disturb and excite most readers. I look forward to your thoughts. Let me hear.